美国卡朋特进口Carpenter 316L-AOD/VIM/VAR不锈钢 上海艾荔艾金属材料有限公司Shanghai Ailiai Metallic Material Co.,Ltd. Either of the compositions may be melted by air melting + Vacuum Arc Remelting (AOD+VAR) or by Vacuum Induction Melting + Vacuum Arc Remelting (VIM+VAR) depending on the level of micro-cleanness required. 316L-SCQ® stainless is an austenitic stainless designed for use where extremely good surface finishes are required. The corrosion resistance and mechanical properties of 316L-SCQ stainless are similar to Type 316L. Typical specifications for bar products are ASTM A-276 and SEMI F20. 316L-SCQ stainless is produced to a tightly controlled chemical com-position within conventional analysis limits Type 316L. Carefully selected melt stock is utilized to restrict the occurrence of typical residual elements. One important element, sulfur (S), influences inclusion count, machinability and weldability, and can be varied according to customer specification. The intermediate sulfur range is controlled to 0.005 to 0.015% for a unique combination of weldability and micro-cleanness. For the ultra-pure composition, sulfur is held in the range of 0.001 to 0.004% maximum. Either of the compositions may be melted by air melting + Vacuum Arc Remelting (AOD+VAR) or by Vacuum Induction Melting + Vacuum Arc Remelting (VIM+VAR) depending on the level of micro-cleanness required. 316L-SCQ stainless could be considered for use in applications where cleanness, resulting in reduced inclusions, is advantageous in thin-wall components such as valves and fittings. Industries in which this alloy could be considered for applications include semiconductor, nuclear, biopharmaceutical, aerospace, and chemical and gas processing. Due to its superior corrosion resistance, the use of 316L-SCQ stainless has been extended to handling many of the gasses used in semiconductor manufacturing and chemicals used by chemical process industries. The alloy is more resistant to pitting than conventional 18-8 alloys. For optimum corrosion resistance, surfaces must be free of scale, coatings applied for drawing and heading, lubricants and foreign particles. After fabrication of parts, cleaning and/or passivation should be considered. Important Note:The following 4-level rating scale is intended for comparative purposes only. Corrosion testing is recommended; factors which affect corrosion resistance include temperature, concentration, pH, impurities, aeration, velocity, crevices, deposits, metallurgical condition, stress, surface finish and dissimilar metal contact. Heat to 1850/2050°F (1010/1121°C) and water quench. Brinell hardness approximately 150. Cannot be hardened by heat treatment. Hardens only by cold working. 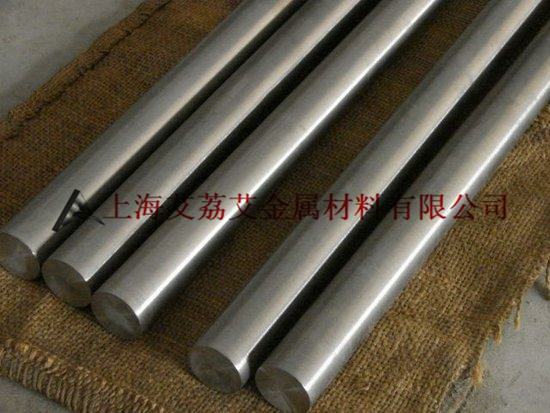 316L-SCQ stainless can be readily forged, upset and hot headed. To forge, heat uniformly to 2100/2300°F (1149/1260°C). Do not forge below 1700°F (927°C). Forgings can be air cooled. Best corrosion resistance is obtained if the forgings are given a final anneal. 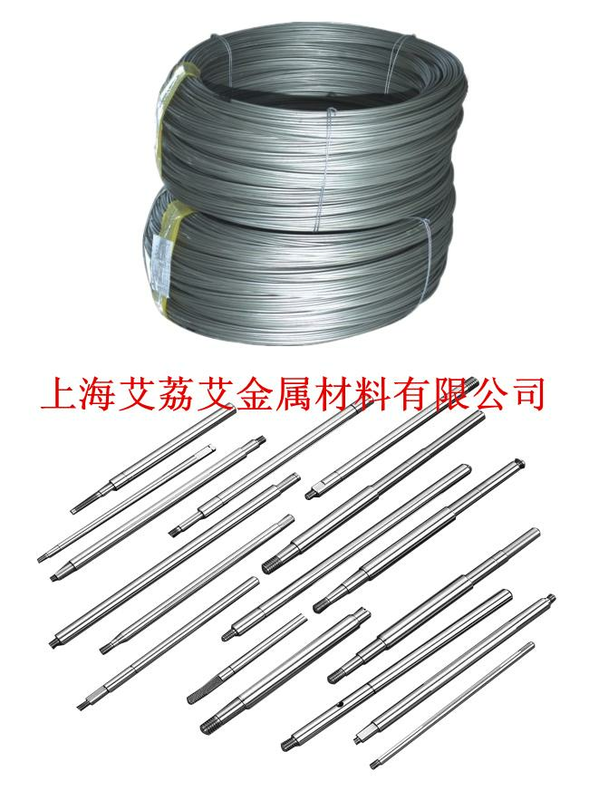 316L-SCQ stainless can be deep drawn, stamped, headed and upset without difficulty. Since this alloy work hardens, severe cold forming operations should be followed by an anneal. 316L-SCQ stainless machines with chip characteristics that are tough and stringy. The use of chip curlers and breakers is advised. Since the austenitic stainless grades work harden rapidly, heavy positive feeds should be considered. Many customers prefer a small amount of cold work to enhance machinability and achieve a better chip characteristic and as-machined surface finish. The process of cold drawing increases the yield strength and tensile strength and decreases percent elongation and percent reduction of area. To accommodate cold work to improve machinability, many customer specifications allow a decrease in the percent elongation requirement to 20% minimum. Since machinability means different things to different shops (speeds and feeds, tool life, surface finish, etc. ), each shop needs to run comparative tests to establish optimum machining parameters for a particular sulfur level and to generate cost data. Usually, the lower the sulfur levels, the greater the tendency to burnish the surface, which improves surface luster. Also, the lower the inclusion content, the better the surface after electropolishing. Figures used for all metal removal operations covered are averaged. On certain work, the nature of the part may require adjustment of speeds and feeds. Each job has to be developed for best production results with optimum tool life. Speeds or feeds should be increased or decreased in small steps. 316L-SCQ alloys are readily welded using Gas Tungsten Arc, Plasma, Laser and Electron Beam Welding techniques. Extra attention should be paid, however, to the weld penetration and bead geometry because of the effects on sulfur on the physics of the weld puddle. The penetration ratio (ratio of depth to bead width) increases with an increase in sulfur content up to about .03%. 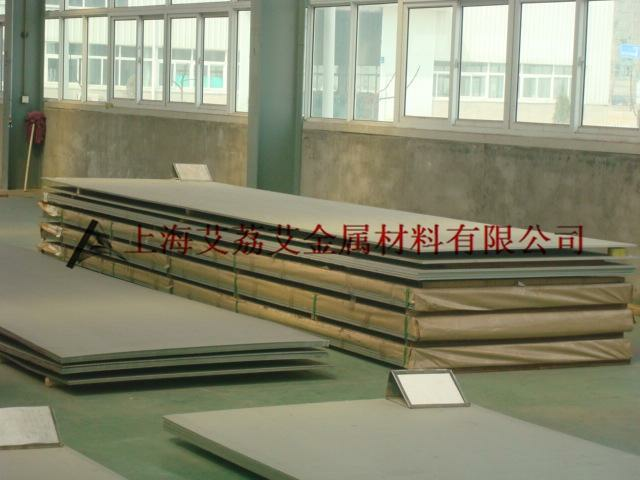 Conversely, the weld bead will become shallow and broader as the sulfur content decreases. The weld bead geometry and location can be a problem if components with significantly different sulfur levels are joined. Where possible, it is suggested that both components have similar sulfur contents. When this is not possible, good welds are possible between two components with significantly lower sulfur (0.004% vs.: 0.008 % sulfur) through carefully positioning the welding electrode and selection on the shielding gases. 316L-SCQ stainless can be satisfactorily welded by the shielded fusion and resistance welding processes. Since austenitic welds do not harden on air cooling, the welds should have good toughness. Oxyacetylene welding is not recommended since carbon pickup in the weld may occur. The alloy can be welded without loss of corrosion resistance due to intergranular carbide precipitation. Usually the alloy can be used in the as-welded condition. However, for service in the most severe environments, the welded structure should be reannealed after welding. Where a filler metal is required, AWS E/ER316L welding consumables should be considered. Cleanness is evaluated by means of a microscopic examination of a sample to establish a "J-K" rating. Carpenter typically conducts this evaluation on billets in accordance with ASTM E-45 Method A with ratings based on Plate III. Samples are rated from the top and bottom of the first, middle and last ingot of the heat. The limits contained in the hyperlink entitled "Micro-Cleanness Single Vacuum Melt" are acceptable for air melt plus vacuum arc remelted 316L-SCQ stainless (AOD + VAR) with 0.005/0.015% sulfur. The reason we are offering only a single vacuum melt (AOD + VAR) and no guarantee on Category A inclusions (sulfides) is that when sulfur is added to meet the intermediate sulfur level, it is obvious that the level of sulfide inclusions will increase. We have, in fact, seen values up to a rating of 3 in Category A Thin in some heats. The cleanest version of 316L-SCQ stainless utilizes two vacuum melting techniques, in combination with restricting sulfur to 0.004% maximum. In all other respects, this material has the same chemical balance and mechanical property capability as the single vacuum melted (AOD + VAR) material. However, to illuminate the advantage of combining low sulfur and double vacuum melting, the J-K limits displayed within the hyperlink entitled "Micro-Cleanness Double Vacuum Melt" apply for 316L-SCQ stainless (VIM + VAR). The two issues most frequently questioned are weldability and machinability. For further information regarding these issues, refer to the machinability and welding sections under the workability section of this data sheet. Considerable experience has demonstrated that the increased purchase price and machining costs associated with double vacuum melted ultra-low sulfur is more than offset by the ability to consistently achieve an exceptional electro-polished finish.